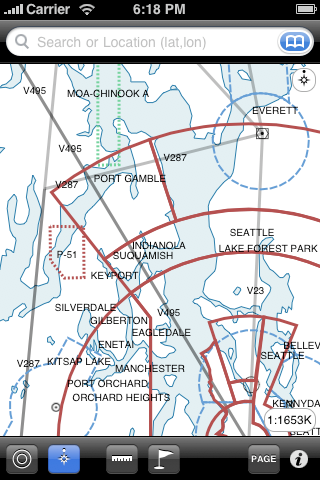 VFR and IFR chart view. 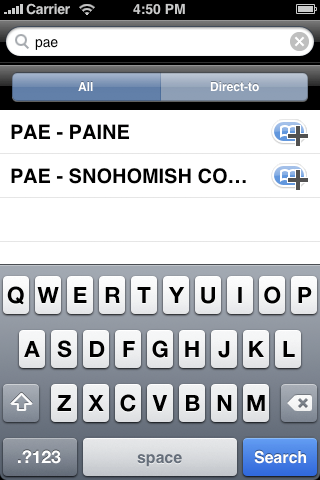 Ability to lock "North up" or "Track up". 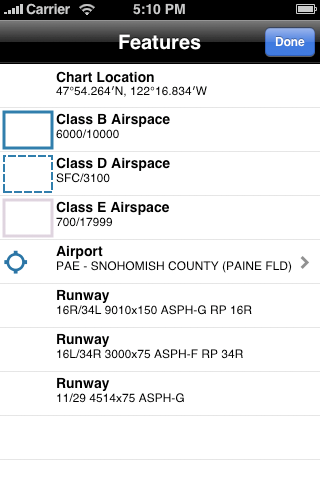 Measure distances using the "Ruler" tool. 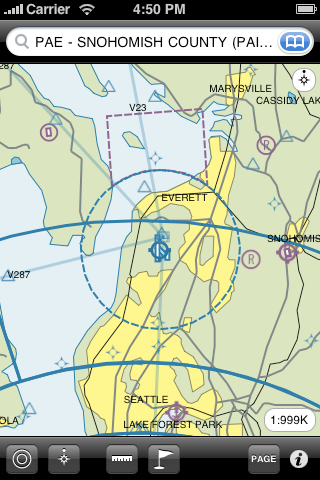 Search for airports, navaids, fixes, etc. 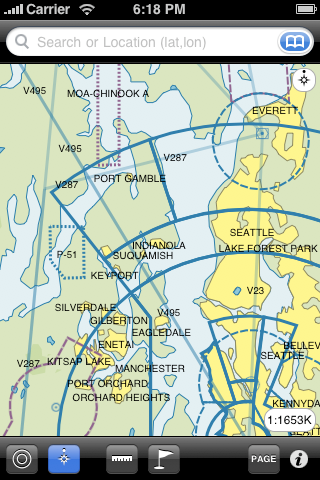 by name or near your aircraft or chart location. 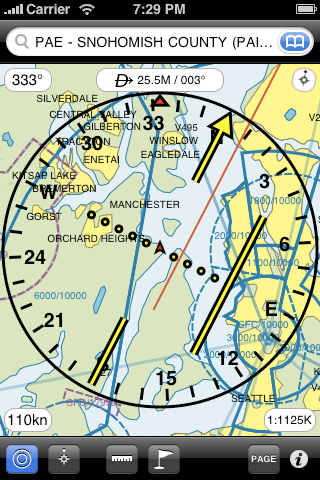 Tap on the chart to get additional feature information. 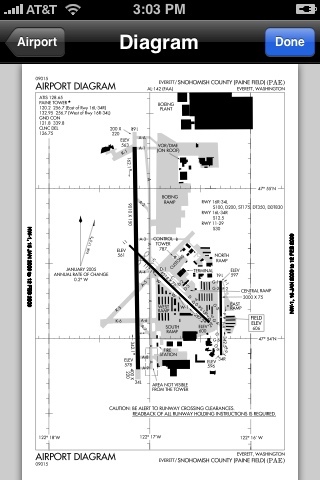 Airports include a special information screen with communication frequencies, instrument procedures, etc. 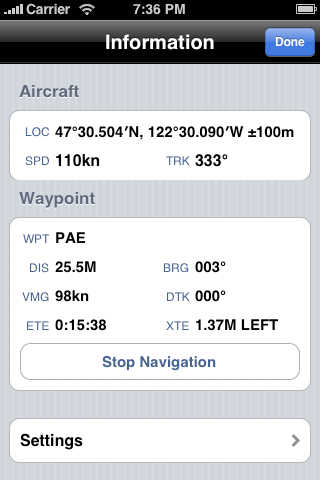 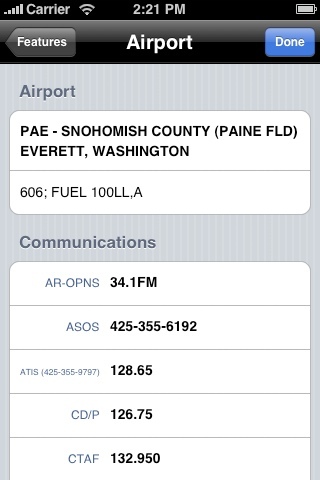 Information screen shows current location/speed/track and distance/bearing to waypoint. 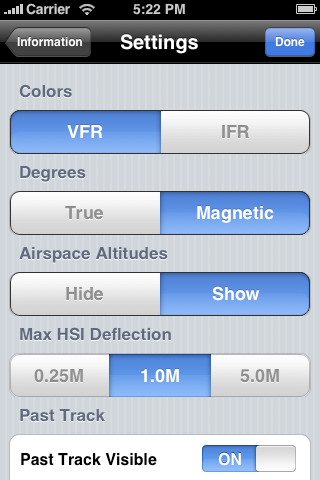 Settings screen allows to personalize how Aero Charts works.